Adding some color to your wardrobe never got so easy! 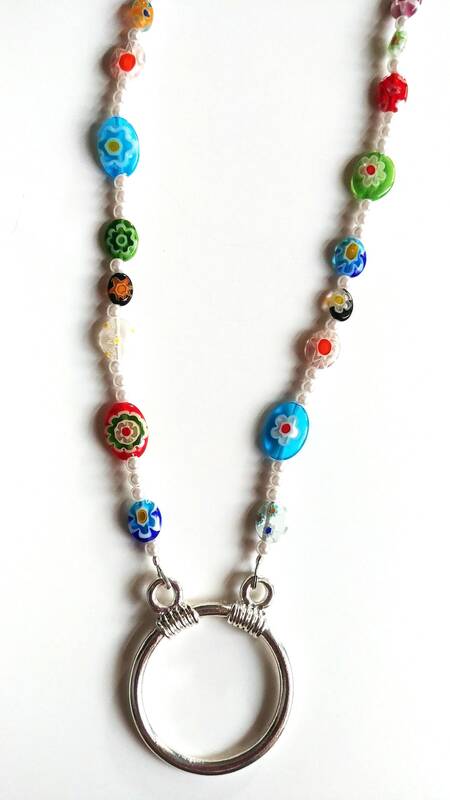 This eyeglass accessory is made using uniquely detailed Millefiori beads. 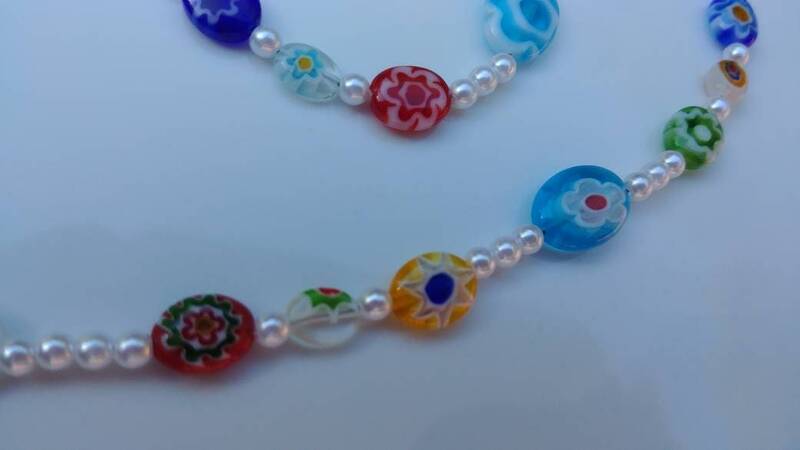 The glass beads are made using canes of glass that are then rolled together. 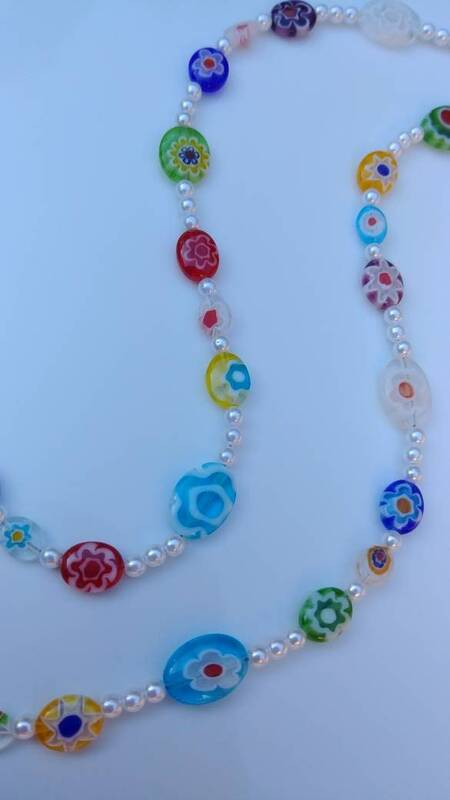 They produce such vibrant colors because their colors are present throughout the bead, not just on the surface. 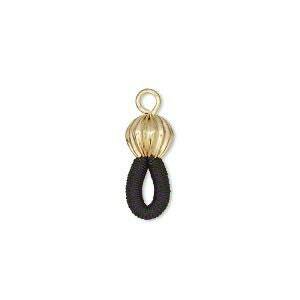 You are able to choose whether you would like eyeglass ends or an eyeglass loop at the end. 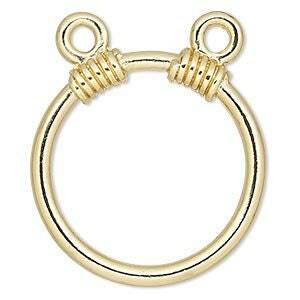 You are also able to specify if you'd like the ends/loop in silver or gold color. 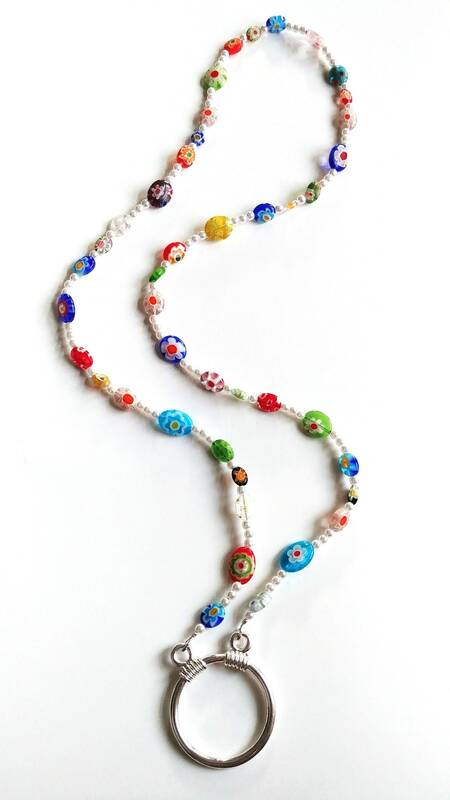 The eyeglass chain/necklace will be approximately 30 inches long. 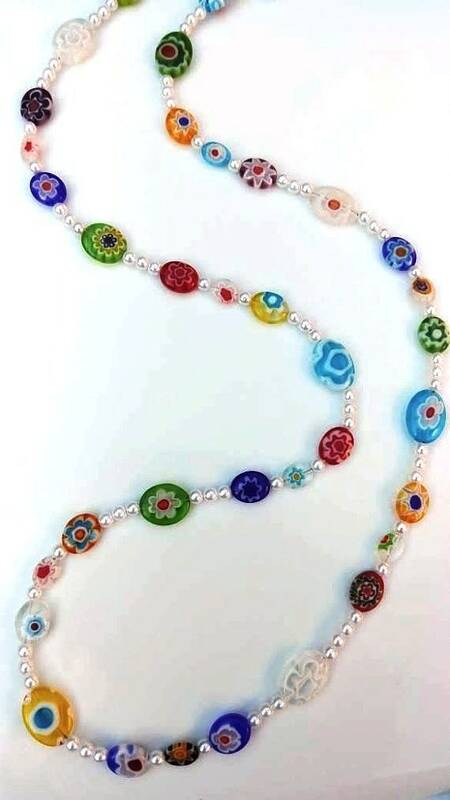 This is a beautiful necklace! And now I don't lose my glasses! Fast shipping! 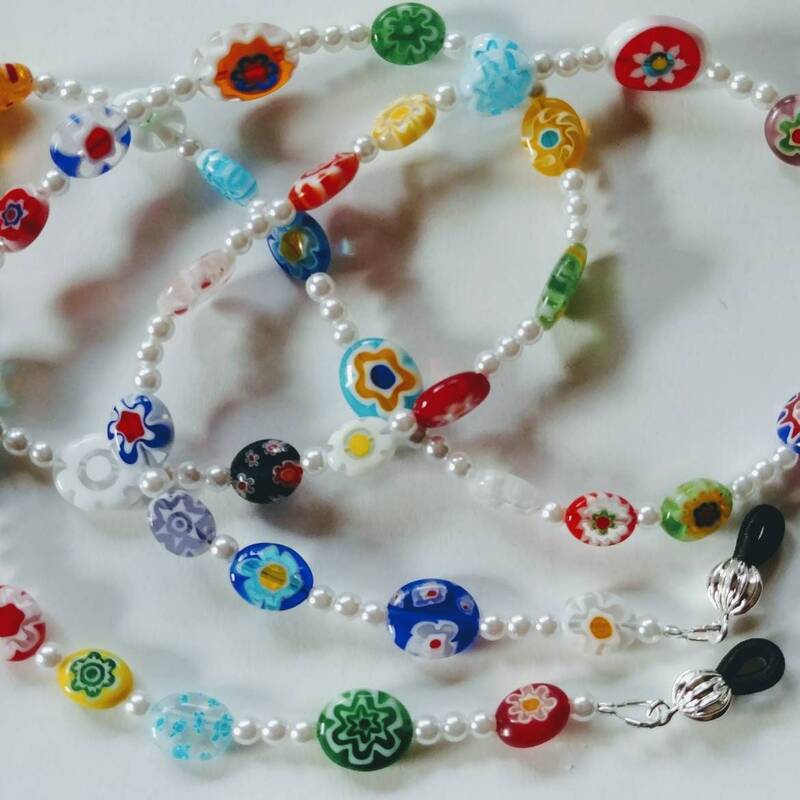 These beads are lovely. I love the different bright colors. Great experience with this shop. It was absolutely beautiful. Thank you!